The term Electric Muscle Stimulation or EMS needs some clarification, so I will attempt to dissect the facts, fiction and certain laws to prevent misleading advertising! This article is primarily vendor non-specific, but I will point out the differences in the various SpeedCoach EMS models based on phone calls and emails I receive on a weekly basis. The term EMS also goes by the name of Neuromuscular Electrical Stimulation (NMES), or simply “electromyostimulation”… it’s all the same. The U.S. Food and Drug Administration (FDA) allows Electronic Muscle Stimulation devices for over the counter usage as long as it’s clearly marked as muscle toning and strength building, because after all, it really does tone the muscle, IF you crank the intensity high enough. You CANNOT call EMS units a “weight loss” product, despite the fact you might lose weight with it. You think your muscles are burning calories, but if you just want to burn calories, you are probably better off burning calories by doing some sort of aerobic activity. 2. Pain Relief similar to a TENS unit. TENS (Transcutaneous Electrical Nerve Stimulator) is common in the use of electric current for pain therapy, especially people with lower back problems. In theory, Electric Muscle Stimulation units are not the same as a TENS unit used for pain relief, because it is a therapy which requires a prescription. However, in the Globus EMS SpeedCoach units [NOTE: SPORT and PLUS units only… see the chart below] or even the standard Globus EMS units, there are programs such as “Active Recovery”, “Massage” and “Stretch Relax” that obtain the same effect of pain relief. Some of the muscle toning programs are similar to certain TENS programs, and users have reported they obtain good pain-killing results with the programs above. Probably the best use of Electrical Muscle Stimulation in rehab is the ability to have tone & atrophy reduction, recruitment training and endurance reinforcement. This is the first impression people have when they are not familiar with the full benefits of EMS. The beauty of owning an Electronic Muscle Stimulation device is you can use it all year ‘round, and not just for rehab or training. I know several marathoners use EMS for active recovery, as most marathoners travel to races, and often have time to do the active recovery protocols on their hotel rooms. EMS units are small enough to fit in your carry-on bag on an airplane, unlike the models you see at Physiotherapy clinics. Before we get into the benefits of electromyostimulation in training, you have to ask How Does EMS Work? The electrical impulses are generated by the EMS unit and delivered through electrodes on the skin fairly close to the muscles that you want stimulated. The impulses resembles the action potential (AP) coming from the central nervous system (CNS), causing the muscles to contract. The electrodes stick to the skin via pads. In addition, EMS can be used in training to alter the order of muscle recruitment. Normally, your body would use red fiber (slow twitch) first to do a specified movement, followed by white fiber (fast twitch) when needed. However, with EMS, all fibers in proximity of the electrode pad regardless of their type are recruited. 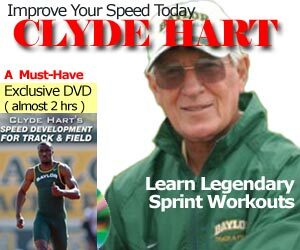 Therefore a greater number of fast-twitch fibers are activated earlier than they would be with traditional training. 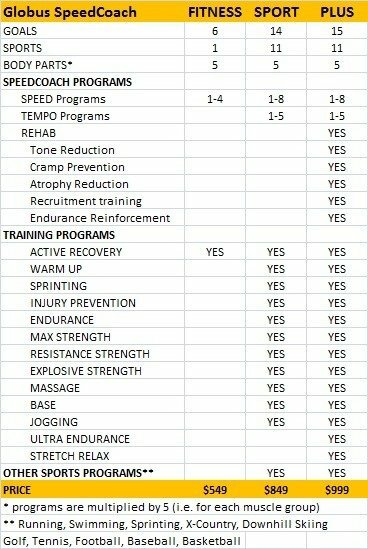 This is beneficial for speed, power and strength athletes. With an opportune choice of stimulation parameters, it can also be harnessed for endurance athletes. In fact, even when you do your best to exert maximal force for FIVE SECONDS, there is evidence that you still keep some “reserve” capacity. We know that because if someone is doing a maximal 5 second contraction, and you stimulate the muscle using an electric current, the force can go up, so clearly what the person thought was “everything” was actually still sub-maximal! So a reserve is a universal feature of any voluntary effort, regardless of how hard you try. Voluntary muscle contractions are controlled by the brain, which sends electrical impulses through the nerves that innervate a particular muscle. Electrical Muscle Stimulation uses electrical impulses (hence the name), acting on the same motoneurons and nerve terminals utilized by the brain, to contract muscles in a manner similar to voluntary contraction. Thus EMS allows to fine tune muscles toward the development of force, endurance, and faster recovery from sport performance and muscle soreness. But my favorite key benefit of using electromyostimulation is it bypasses your central nervous system (CNS)! CNS overload is a complicated subject matter, but I describe it best as feeling “hung over” without drinking any alcohol the night before. Anyone who does too much speed training sessions can vouch for this. 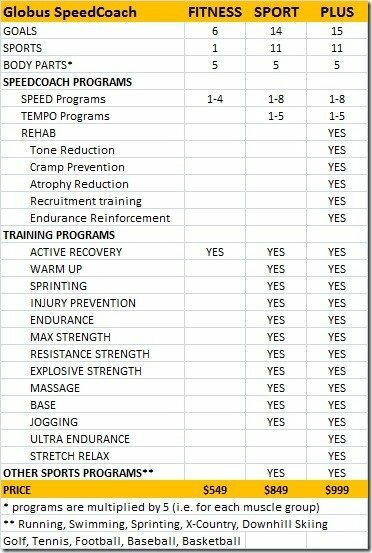 In the image below, Derek Hansen of StrengthPowerSpeed.com illustrates the concept of the 6-week training progression that matches the programs in the menu. This is what sets the Globus SpeedCoach EMS apart from other EMS manufacturers. There is no other EMS unit that offers this training program, and that’s what makes the difference in results. Like weight training, clearly the improvement is greater for a beginner athlete compared to an elite athlete. So implementing EMS into your annual plan (both macrocycle and microcycles) requires a bit of planning, especially the training component. It will differ year to year (or every two years, like your weight training routine). 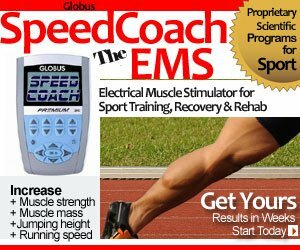 I would love to list the number of athletes and coaches who uses the Globus SpeedCoach EMS. But in a way, they don’t want us to mention it as it’s their best kept secret among their competitors. After all, they want to beat YOU so why would they reveal their secrets? However, I managed to convince some to share their views openly. Here are some top sport coaches’ praise for their Globus SpeedCoach EMS. 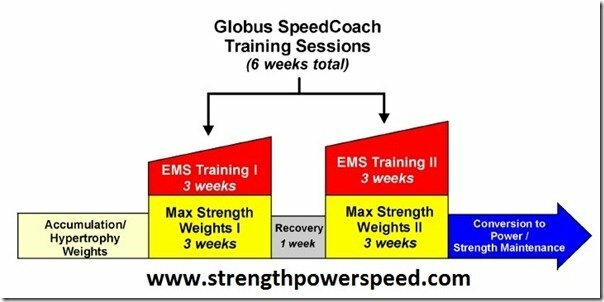 For additional in-depth information about the Globus SpeedCoach EMS, click here to download 3 free ebooks on EMS, written by coaches Charlie Francis, Christian Thibaudeau and Derek Hansen. @Chris6878 – absolutely, Derek Hansen did all of Charlie’s graphics and tables (pro bono). Hard to believe, back in 2002, he was using Corel Draw!